I have known about Tony Ross for years. When I played clarinet in the Saint Paul Chamber Orchestra, he substituted in the cello section a few times. Soon after, he auditioned for the Principal Cello spot in the Minnesota Orchestra and won. None of us were surprised. When I became Music Director of the Wayzata Symphony, I mustered my courage and asked him to play a concerto with us. How lucky we were when he said yes and even suggested to perform David Ott’s Double Concerto with his wife, Beth Rapier, Assistant Principal Cello of MN Orch. Tony is a musician’s musician – phenomenal technique, gorgeous sound, heart-stopping expression. But, beyond all of that he is so genuine and generous. He performs with us because he believes in community and that music is for everyone, as performers and listeners. No matter what, it’s all about the music with him. He always offers spot-on, constructive comments to help us lift the music off the page. 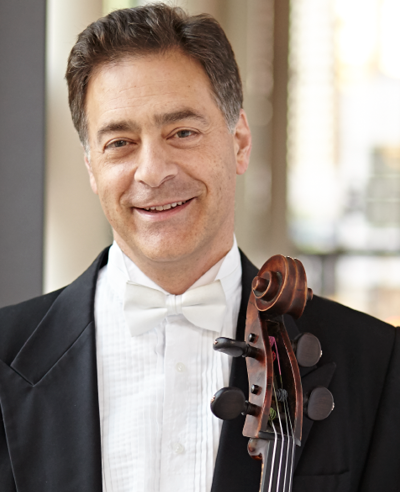 His performances of Weinberg’s Fantasy for Cello and Orchestra are coming up soon – February 24 at Wayzata Community Church and March 3 at Orchestra Hall. They will be fifth and sixth times he has performed with us. How lucky for us! I am so happy we get a chance to showcase his incredible artistry as he performs a piece he requested and one that has never been performed in Minnesota. Who better than Tony Ross to introduce it! On Feb. 24 (at Wayzata Community Church) and March 3 (at Orchestra Hall) we will be performing Ralph (pronounced “Rafe”) Vaughan Williams masterpiece, Dona Nobis Pacem. Employing text from Walt Whitman, John Bight and passages from the Bible, it is a work that was written between the two world wars. 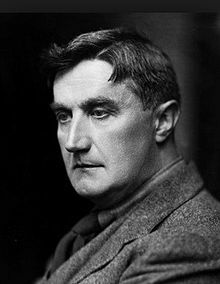 Ralph Vaughan Williams (RVW) was born into England’s upper class – his mother was an heiress to the Wedgewood manufacturing fortune, and his great uncle was Charles Darwin – but he spent a great deal of time travelling the English countryside collecting folk music. RVW and his lifelong friend, Gustav Holst, dedicated themselves to creating an authentic national British voice rooted in folk song. Through his discovery and recording of over 800 songs, he found that the modes played a key role. When he was commissioned to create a new version of the English Hymnal, he departed from German influence (largely major/minor tonalities) and included a broader array of recognizable tunes rooted in those ancient modes. The hymnal, created in 1906, remains the central musical source for the Anglican Church and its offshoots. An inspiring call to the human spirit in times of darkness. I think RVW would have loved the collaboration of our three community groups. An Amazing Season To Come! 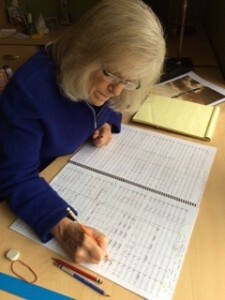 I am studying like a fiend, preparing for the first concert of our 10th Anniversary Season. When I thought about repertoire to celebrate 10 years, I had to include Beethoven Symphony #5. I know it is familiar to everyone and most musicians have played it many times, including me as clarinetist in the SPCO. But, every single time I play or conduct this piece, I just cannot believe the brilliance of Beethoven. I always discover exciting new things. When I was a kid I wondered what all the Beethoven hoopla was about – I preferred Stravinsky, Rachmaninoff and Mozart – but as soon as I played my first Beethoven symphony I was hooked. In all fields, there are iconic figures who catapult us forward into brave new worlds. Beethoven was one of those figures. His 5th symphony is a remarkable display of ingenious, ground-breaking creativity. I can’t wait to show some examples of that at our concert on Oct. 14. One of my favorite soloists from the past 9 years is Manny Laureano, Principal Trumpet of MN Orchestra. Manny is a spirit-above-ego guy. It’s all about the music with Manny and how it connects to community. When I asked him to perform on our opening concert he immediately agreed and even suggested a piece – one he had premiered a couple years ago. Michael Gilbertson’s Trumpet Concerto opens with a 3-part trumpet fanfare – showcasing the skills of WSO trumpeters, Ben Alle and Miriam Dennis. The piece is full of beautiful melodies, driving rhythms, intriguing harmonies and lots of challenging technique for the entire ensemble. Copland’s Fanfare for the Common Man is the quintessential American piece – open, welcoming, powerful. It will be a great way to start the season. And the Grand Finale? I hope you’ll be there as we include 100 string students from Wayzata High School and singers of the Edina Chorale to join us in performing the Ode To Joy from Beethoven’s 9th Symphony. https://thewso.org/wp-content/uploads/2015/05/wayzata-symphony-orchestra-mainLogo.png 0 0 Melissa Kalal https://thewso.org/wp-content/uploads/2015/05/wayzata-symphony-orchestra-mainLogo.png Melissa Kalal2018-09-12 12:44:402018-09-12 12:44:40An Amazing Season To Come!